Admission is FREE! Over 150 fine artists, 21 Santa Cruz Mountains wineries, gourmet food, children’s art area, entertainment all day, both days and so much more! All in the beautiful, beach-side setting of Capitola Village-by-the-Sea. 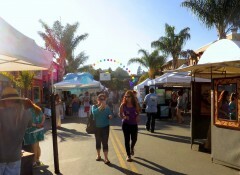 For more information visit http://capitolaartandwine.com.